Go to SuperGames Way and order on Novelty Pkwy! 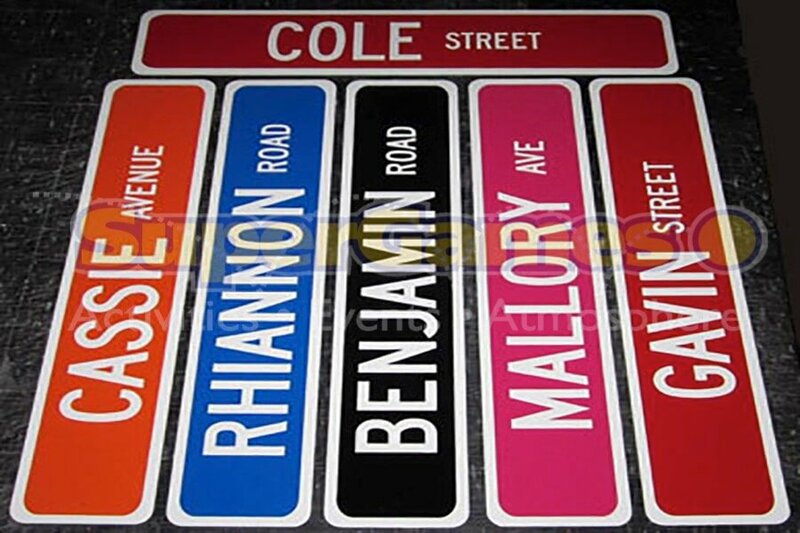 Our street sign system gives your guests a fully customizable keepsake that they can cherish for a long time! 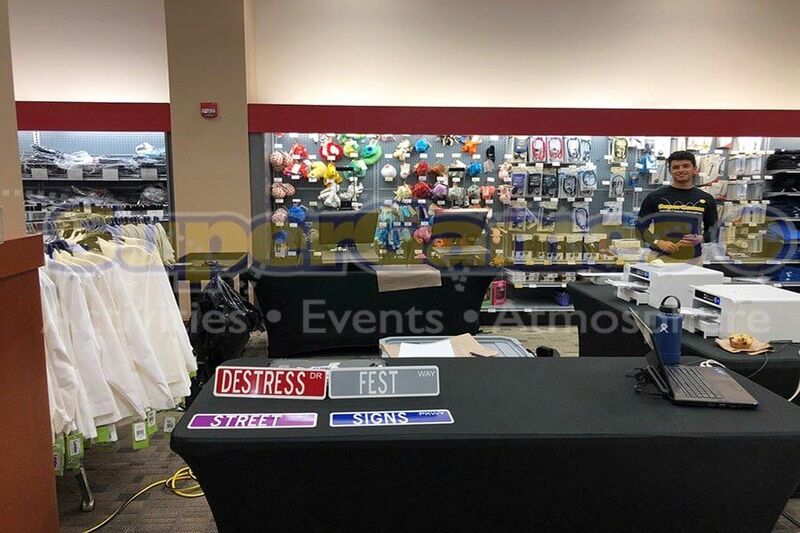 Personalized name, roadway, and colors allows this novelty to be a huge hit at any event! For information on booking this activity, please contact our office. With a focus on special events and team building, SuperGames offers the best activities, staffing and service in the industry! Whether you are planning a company picnic, festival, party or team building event, our skilled event planning team will ensure every part of the event goes smoothly. SuperGames has the most innovative activities in the industry! Our unique options include a portable zipline, inflatable bounces and inflatable obstacle courses, as well as carnival games, balloon artists and petting zoos. We can even help clients select a caterer and scout the perfect location. In short, we have everything you need to make your next gathering an unforgettable experience. While our activity selection and event space is impressive, our biggest asset is our staff! Our people are energetic, social, well-mannered and presentable. Most importantly, the entire SuperGames staff loves what they do! Our staff members go through a thorough background check process. In addition, they have completed SuperGames’ safety-training program, and many are also First Aid/CPR trained. SuperGames serves all of central Ohio and surrounding areas, including Columbus, Cleveland, Akron, Cincinnati, and Dayton. We also service Indiana, Kentucky, West Virginia, Pennsylvania, Michigan, Illinois and other states upon request.